When someone makes the decision to begin a drug rehab program, their focus should be on getting better, not on stressful feelings about paying the bill. The cost of not getting treatment is always higher than the cost of treatment, both financially and otherwise. Soros.org reports that total medical costs were reduced by 26 percent among a group of patients receiving addiction treatment compared to those not receiving treatment. However, rehabilitation programs can be expensive so it’s important to make plans ahead of time to make payment feasible. All of these options can provide needed drug rehab financing. If you would like to discuss alcohol or drug treatment financing today, please call 1-888-287-0471	Who Answers? . Only 1 in 10 of the 23 million Americans suffering from addiction get treatment, according to the most recent government survey. “Another way of financing addiction treatment is by getting a home equity loan.”Asking family members or friends for a loan to help cover the cost of treatment is one option. They may be reluctant to give you money to further a drug abuse, but if you show a genuine desire to get better, they may be willing to help. One recommendation that could put them at ease is to have them pay the treatment center directly. They can then be sure their money is going to help your treatment. This option can also help repair relationships with people who are important to you. Another way of financing addiction treatment is by getting a home equity loan. Banks are more likely to give you a home equity loan than a standard loan because the home is used as collateral. This means that these loans will carry lower interest rates than credit cards and other types of loans. A study from 2004 says that 1 out of every 14 hospital stays was related to a substance abuse disorder. Credit cards can be used as source for financing addiction treatment. 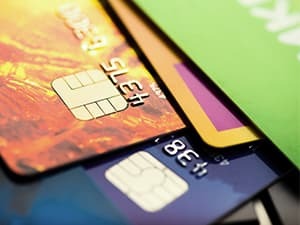 Though they normally have high interest rates, credit cards can be used to finance treatment if they are the only option. For people with good credit, it is possible to qualify for cards with introductory rates as low as 0 percent. If you can qualify for a low- or no-interest card then this option becomes more reasonable. It is common for drug addicts to sell belongings so they can buy more drugs. It is just as possible to sell possessions to pay for treatment. It might hurt to sell your car, jewelry or flat-screen television, but these items are replaceable; your health and well-being are not. Selling assets also has another benefit that loans and credit cards do not. When you complete treatment, you will have less debt or no debt. This can help get you back on your feet financially after treatment is completed. Many treatment centers understand that financing addiction treatment can be difficult, so many offer financing options for their patients. This allows you to choose a facility that fits your needs and that you feel comfortable in, and pay in installments over a period of time without having to worry about paying a large sum all at once. Many treatment centers will be willing to work with you on a payment structure that fits your budget. If you would like more information on treatment centers near you, call 1-888-287-0471	Who Answers? today. The cost for hospitalizing people with substance-related disorders was around $2 billion nationally in 2004, or $4,300 per stay. “The most important step you can make is to begin treatment, no matter how you choose to pay.”The most important step you can make is to begin treatment, no matter how you choose to pay. The sooner you begin treatment, the more effective your treatment will be and the lower your long-term healthcare costs will be. If you are considering getting treatment and would like more information, call 1-888-287-0471	Who Answers? today.